Do you enjoy baking? Sure you do! And that makes your oven an important kitchen appliance. If it breaks down, simply give us a call. We will go the extra mile to offer oven repair in Vaughan. Our pros have experience in fixing all oven types, including microwaves. We are here to take care of stoves and ranges too. When the cooking appliances give you any trouble, our techs will do the required repairs to have them up and running in no time. Our specialists at Appliance Repair Vaughan respond fast when you need repair services. But we will also be there to cover your installation requests. 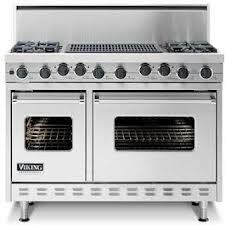 There is a plethora of gas and electric ovens and stoves on the market. Our oven repair Vaughan specialists keep getting updated in order to meet everyone’s needs. We can service and install ranges, counter mounted stoves, built-in single and double ovens, and microwaves. The brand and model of your appliance make no difference to our pros. We are qualified to service them all. And that’s why you can count on our stove and oven repair service. Our team offers oven installation service. We pay specific attention to the oven’s specs and special features because the smallest detail matters. With the certifications and experience to install all oven and stove models, our techs can ensure correct installation and hence proper performance. Give us a call if you need help with your electric oven. Rely on our quick gas oven repair service. When gas appliances are involved, we do our best to service them as fast as possible and are particularly focused when we install them. Is there gas odor in your kitchen? Do you have trouble with your gas oven? It’s always best to shut the main valve and contact our company. Whether gas or electric, your Vaughan oven repair needs are covered fast by our company. Get in touch with us today.